I recently had the opportunity to interview Kristen Auerbach, head of the Pima Animal Care Center (PACC) in Tucson, Arizona. Before taking the helm at PACC, Auerbach was an executive at two other shelters in large urban areas – the Austin Animal Center in Austin, Texas, and Fairfax County Animal Services in northern Virginia. In this blog I want to discuss her ideas on fostering. Auerbach believes that “fostering is about engaging the community in a profound way that no other program can do.” What I found most striking about her approach to fostering is how she integrates it with other programs, gaining some tremendous synergistic effects. Kristen Auerbach with her dog Otter. 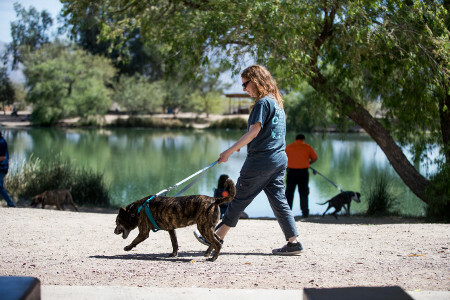 PACC is the only public shelter serving Pima County and it is high volume, taking in some 16,000 to 18,000 animals per year. Auerbach started as director at PACC on July 10, 2017. It was already a good shelter before she was hired, with a live release rate in 2016 near 90%. A reorganization in 2017 made PACC a stand-alone department, and Auerbach was hired as the first director under this new system. She has set up the new department and staffed it, and shepherded a new shelter building toward its completion date in 2018. Auerbach’s focus now is to bring PACC to the next level in lifesaving, and she’s done a lot toward that goal in the past year. In addition to the foster program, she oversaw the expansion of PACC’s Pet Support Center (funded by PetSmart Charities and the ASPCA), which works to keep pets in their homes. In 9 months the Pet Support Center has responded to over 33,000 calls. Auerbach is also working with the Jackson Galaxy Project on a Cat Pawsitive program. And volunteers worked almost 78,000 hours in 2017. 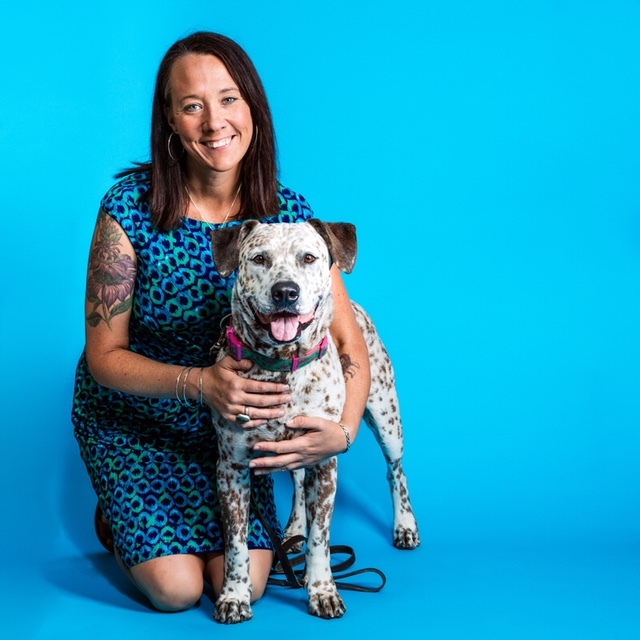 Auerbach is a big fan of the HSUS Pets for Life program, and she recruited Bennett Simonsen, who previously worked as the Pets for Life coordinator for the Humane Society of Charlotte, North Carolina, as PACC’s Animal Protection Supervisor. That’s a lot of change, but Auerbach’s renovated foster program may be the biggest change of all. Auerbach is a recognized national leader in fostering based on her revolutionary work with big-dog fostering. She feels that the problem is not large dogs per se. People love large dogs just as they love all dogs, and there would be sufficient demand for large dogs if there were no obstacles in the way of adopting them. The most prevalent obstacles are landlord and HOA restrictions that prohibit people from keeping large dogs. Because of these obstacles, shelters must put extra effort into getting large dogs adopted. As a high-volume shelter, PACC takes in many large dogs. Fostering is important for big dogs because it is not just a temporary lifesaver but a strong contributor to finding a permanent home. A recently published study of dog adoptions by Gary Patronek and Abbi Crowe of Tufts Center for Animals and Public Policy was carried out at PACC, and concluded that dogs who went into foster had a higher live release rate (99%) than all dogs (88%). Auerbach’s approach to fostering integrates the dog foster program into the adoption program. Every adult dog available for adoption has a notice on its kennel saying “available for foster.” Shelter staff have a target of mentioning “foster” in 30% of their social-media posts. Adoption counselors are encouraged to talk to potential adopters about fostering, and every adoption counselor can process fosters. In the eight months that this approach has been in place they’ve had many more inquiries about fostering. People who are interested in fostering but unsure about it are encouraged to foster a senior dog, which often turns into an adoption. Day trips and short-term foster opportunities can encourage people new to fostering to take the plunge, and the time out of the shelter is great for the animals. Historically, the return rate for adoptions has been one of the factors used to judge shelter performance – a low return rate was considered good and a high return rate was bad. The Patronek-Crowe study found, however, that dogs who were adopted and then returned had higher subsequent adoption rates than the general population of dogs. Auerbach believes that adoption returns should not be viewed as failures. 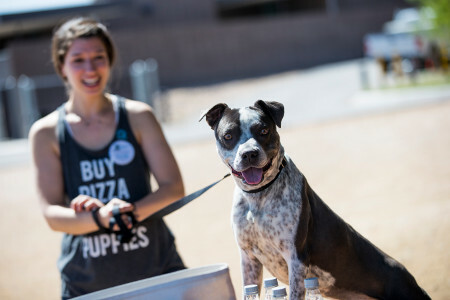 She and her staff encourage people to feel that they can bring a dog back to the shelter if an adoption does not work out, and pick out another dog. Auerbach believes there is nothing wrong with a prospective adopter feeling unsure about whether a rowdy, 18-month-old chewing monster is a good fit. Why not encourage the potential adopter to take the dog home on a temporary basis as a foster, and see how things work out? If things go well, the animal has a new permanent home. At worst, it has had some time out of the shelter. This is one example of how integrating fostering with the adoption program can turn a negative – adoption returns – into a positive, by using fostering to make sure that dogs are a good fit for their adoptive families. Some people object to large-scale dog-foster programs on the ground that such programs may be placing dogs who have behavior issues with fosters who are not capable of managing them. Temperament testing has become a hot-button issue lately, as more and more evidence has piled up that the traditional temperament tests don’t work in a shelter environment. The Patronek-Crowe study found that fewer than 4% of shelter dogs had identifiable behavior concerns at intake. Auerbach sees the shelter environment itself as the cause of much of the fearful or aggressive behavior that is often seen in shelter dogs. She believes that the high placement success for fostered dogs that Patronek and Crowe observed is due to the fact that fostered dogs are not experiencing the stress of the shelter, so they behave like the normal dogs they are. That’s why she believes it is so important to get large dogs out of the shelter right away and into foster homes. The shelter follows the same protocol for fosters as it does for adoptions and rescue placements. Since observing temperament in the shelter does not give an accurate picture of a dog’s real temperament, shelter staff rely mainly on the individual dog’s history. People who are taking a dog, whether as a foster, adoption, or rescue, get all the known information about a dog verbally and in writing, so that they can make an informed decision about the dog. PACC does not have the resources to provide sanctuary care or extensive rehabilitation for every dog with severe behavior issues, so each week Auerbach has to make decisions about dogs in the shelter who are candidates for euthanasia because they have bitten or attacked a person or another animal. As busy as she is, she spends at least 10% of her time making a thorough investigation into each one of these cases. Her investigations include interviewing bite victims, if possible. Often she finds that the original report that labeled the dog as dangerous was inaccurate – the dog was misidentified, or the victim gives her a very different account of the incident from what is in the report. She believes it is important not to lump all bites together – there is a big difference between a minor bite and a moderate-to-severe bite. 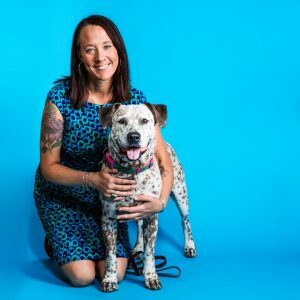 Auerbach sees making decisions to euthanize a dog for behavior as the most profound part of her job, and believes that shelters have a duty to provide careful consideration before taking a dog’s life for past behavior. Currently, many of the adult dogs that PACC places in foster homes are large dogs who are experiencing behavioral decline in the shelter – dogs who showed no behavior issues when they came into the shelter but after 6 weeks or so start showing signs like reactivity and leash biting. Recently, however, PACC received a 3-year grant from Maddie’s Fund to hire three people who will be entirely dedicated to foster coordination – one for adult dogs, one for adult cats, and one for marketing and placement. The goal is to build a demonstration foster program, the largest foster program in the world, and get as many animals as possible out of the shelter and into foster before behavior problems set in. And for dogs in the shelter, a Dogs Playing for Life program can help achieve some of the same effects as fostering. One of PACC’s 2018 projects is a large-scale Dogs Playing for Life program. Participant in the Maddie’s apprenticeship program. The PACC foster program is the centerpiece of another of Auerbach’s interests – training shelter staff from across the country in lifesaving techniques. PACC is part of the Maddie’s Fund national apprenticeship program for shelter staff who want to improve their community shelters but need help in getting started. Maddie’s awards grants that allow recipients to travel to communities like Tucson that have shelters with cutting-edge programs, where they receive hands-on training to learn how to implement those programs at their own shelters. Auerbach believes that hands-on training programs are crucial because the sheltering profession has high turnover and new people coming into the profession are not likely to be familiar with the latest lifesaving techniques. Even if they have heard about new techniques, they don’t have experience in implementing them. And rapid turnover of leadership means there is little institutional memory at many shelters, so shelter staff need continuing exposure to basics such as Open Adoption as well as the new techniques. Auerbach believes that messaging on some shelter basics, like not discriminating against “pit bull” dogs, has fallen off in recent years and we have regressed in some of those areas. The most recent apprenticeship training at PACC, a 4-day Maddie’s Medium and Large Adult Dog Foster Apprenticeship program, was held from April 9-12. Staff from shelters across the U.S. participated in workshops led by Auerbach and Kelly Duer of Maddie’s Fund. Although the focus at PACC apprenticeships is on adult-dog fostering, foster is so interrelated with other programs at PACC that the apprentices wind up receiving a broad exposure to many issues and programs. For example, a foster program requires staffing, so each apprentice is asked to bring an organizational chart. The chart might show that animal control is over-staffed, and that people could be reassigned to coordinate fostering and perhaps volunteers and rescue outreach as well. Another example is that since fostering at PACC is integrated with adoption, apprentices get direct experience with the PACC adoption program as well. The next apprenticeship program will be held May 22-25. In Auerbach’s experience, the great majority of shelters still have no formal protocol in place for training new workers. She believes that the type of hands-on training provided by the apprenticeships is a good way to break into the cycle experienced by many people in sheltering, where they come into the field with little knowledge and then are immediately forced into a reactive mode just to get through each day. This leaves them without time to think and plan, much less keep up with today’s rapid pace of change in shelter lifesaving techniques. The apprenticeships offer several days where each participant can analyze their shelter’s situation, experience how a model program works, and have time to reflect. The apprenticeships are not just for providing information about PACC’s existing programs, they are also about encouraging participants to apply their own creativity to come up with innovative variations for their own communities. For example, a PACC apprentice from the 2017 class started Paws on Patrol in Louisville, where police officers take shelter dogs along with them on patrol. The program has received a lot of publicity, and it helps both the police and the shelter in their mutual goal of engaging the community. The PACC bottle-baby kitten program is another non-traditional way of engaging and benefiting the community. My interview with Auerbach touched on many issues that she cares about that we did not have time to discuss in depth, including the effect on shelter workers of carrying out euthanasia decisions, the need to attract and retain leaders in sheltering, and the importance of expanding the focus of sheltering to include animals outside the shelter. Although this is a long blog, it would have to be much longer to even begin to encompass all her ideas and insights. 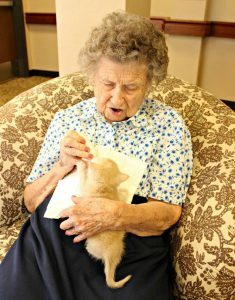 Fortunately, Auerbach frequently writes and speaks about shelter issues. What is happening at PACC is exciting for the future of shelter lifesaving. Auerbach and her staff, with support from grant-making organizations, are making the shelter a demonstration project on many issues. With fostering as a keystone program, shelter lifesaving promises to reach new heights.